Repair Shop, Rebuilds, Service, Driveline Repair, Remanufacturing & More! MENTION THIS WEBSITE AND GET $100 OFF! Quality Rebuilt Transmissions at a Wholesale Prices! 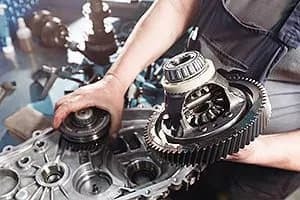 The BEST and MOST reliable transmission repair shop in town! A+ rating with the BBB. ASE Certified. Lowest prices in the area! Stop in today and get a free quote! Our no hassle pricing means there are no hidden fees. The quote includes labor, parts, and everything else except for tax and fluids. 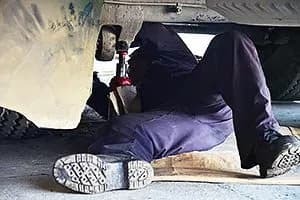 We also offer tire and break service. Here at All Pro Transmissions, we’re now doing custom transmission rebuilding for your high performance vehicles! Give us a call! 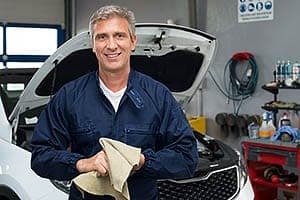 We work with a great company called Next Step Funding to help you fix your car and pay a monthly amount that works for you! You can get approved within a couple of minutes! "I had a few estimates done. 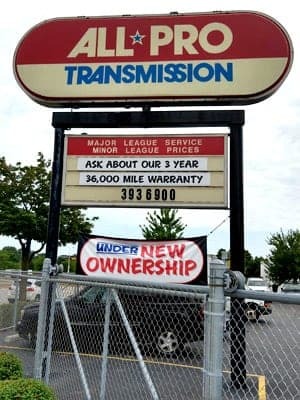 All Pro Transmissions had the best turn around time and a great price. They spent time explaining my options. My car was old and had other issues so I junked it and bought another one." The first automatic transmission was developed in 1932 by José Braz Araripe and Fernando Lehly Lemos, two engineers in Brazil, who later sold the plans to General Motors. General Motors introduced this transmission as the “Hydra-Matic” in their 1940 Oldsmobile. Automatic transmissions started becoming the norm in the US during the 1980s. During the adoption period, the automatic option was more expensive than a manual along with the added cost of fuel inefficiency, mostly due to slippage in the torque converter. 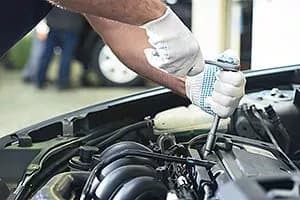 Manufacturers have been making improvements ever since, and modern car transmissions are more affordable, more reliable, and more fuel efficient. One improvements include adding more gears. According to the LA Times, less than 3% of cars sold in the US have manual transmissions. Transmission shop also featured on pageze.com, milwaukee.bizlistusa.com, wordpress.com, ecogreenworld.com, businessrater.com.